The Yezidis or Yazidis are a Kurdish speaking people who live principally in northern Iraq. They number approximately 800,000. They are mostly a poor and oppressed people, but they have a rich spiritual tradition that they contend is the world’s oldest. They refer to themselves as the People of the Peacock Angel, a deity who came to Earth in extremely ancient times to help create our planet and all the life forms upon it. Eventually this deity specially created the Yezidis before any other race of people. This was during the fabled Garden of Eden, which the Yezidis claim is a large area centered in what is now known as Lalish in Iraq. A vestige of the Yezidis’ Garden of Eden era is reputed to be Gobekli Tepe, a recently discovered archeological excavation in southern Turkey that has been dated to approximately 12,000 BCE. During and after a great flood around 4000 BCE, the Yezidis dispersed to many countries in Africa and Asia, including India, Afghanistan, Armenia, and Morocco. Returning from their adoptive countries around 2000 BCE the Yezidis played an important role in the development of the Assyrian, Babylonian and Jewish civilizations of the Middle East. Ultimately, the Yezidis amalgamated elements of all these civilizations into Yezidism, including certain features of the Zoroastrian religion of Persia and some from Islamic Sufism, which were integrated into the Yezidi culture by the great 11th century reformer and Sufi Master, Sheik Adi. The Yezidis claim to have the oldest religion in the world, contending that the truth of this is reflected in the antiquity of their calendar. They can trace back their religious calendar 6756 years, thus making 2008 CE the Yezidi year of 6757. In relation to some of the other major religions, the Yezidi Calendar is 4,750 years older than the Christian or Gregorian Calendar, 990 years older than the Jewish Calender, and it is 5329 years older than the Muslim Calender. 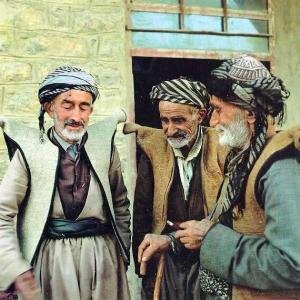 Even with all of their ostensible connections to other faiths, the Yezidis have for hundreds of years been under constant attack from Moslems who promulgate the idea that the Yezidi’s principle diety, Tawsy Melek, the “Peacock Angel”, is Satan. Moslems also contend that the Yezidis are not “People of the Book”, i.e., that they don’t have a sacred revealed scripture like the Holy Bible or the Koran at the center of their religion, so they claim justification in their massacre of them. Or even worse, some Moslems have pronounced the Yezidis as heretics who were once orthodox Moslems – an allegation that puts them in the lowest rung of humanity. Over the course of 700 years, nearly 23 million Yezidi people have been murdered, thus bringing their civilization to the brink of extinction. Since 2014, when the Yezidis were attacked by the Muslim terrorist group ISIS, many thousands more of Yezidi men have been murdered and thousands of Yezidi women have been kidnapped and sold into sexual slavery.